One of the primary reasons for the formation of the CBA was to educate buyers and sellers about important issues in the auction arena. Since its inception, the CBA has received very high praise for its educational efforts which have included the “Plain And Simple” series of educational books. These booklets have had a significant impact on assisting horsemen to understand key sales issues and facts. Widely circulated in North America, Europe, Australia, and Japan, the easy to read booklets have been published in several languages to make the sales scene better for international participants. If you have knowledge of or sold a successful racehorse who overcame veterinary issues or had a less than perfect vet report with it at a public sale venue, please email Joe Seitz with the details ([email protected]). 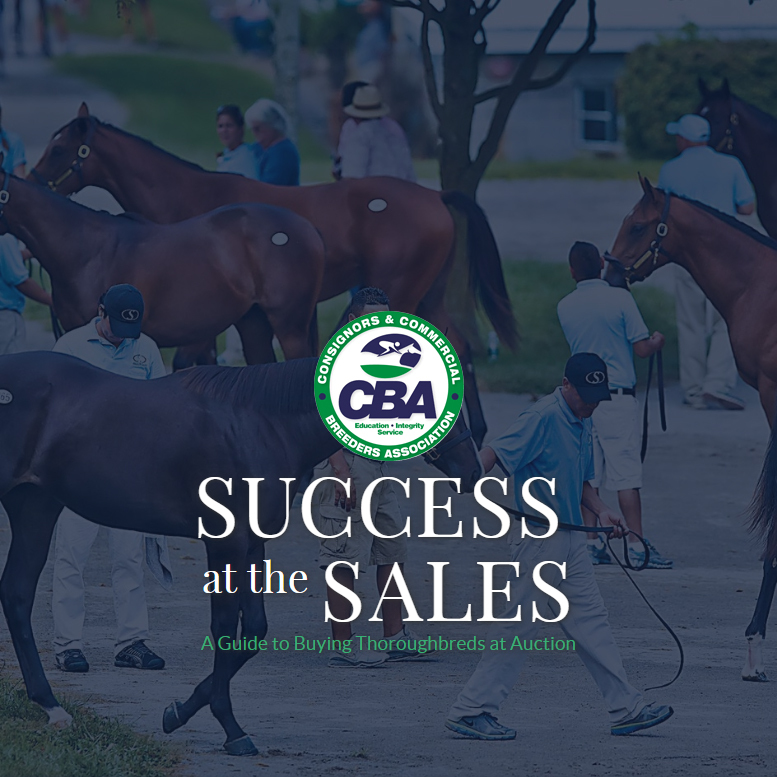 The CBA continually works to address current sales and breeding issues on behalf of all consignors and breeders. The CBA would like to hear your suggestions regarding educational projects, books, or other areas of focus you feel are in need of attention. Please send your ideas to Nicole Gibson by email: [email protected]. The “Plain And Simple” series of educational books appearing below has received acclaim from all around the world. 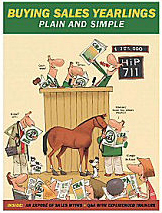 These booklets continue to assist horsemen in understanding key sales issues and facts. The easy to read booklets have been published in several languages and are widely circulated in North America, Europe, Australia, and Japan in a goal to make the sales scene better for international participants. ©2010 Consignors And Breeders Assn. 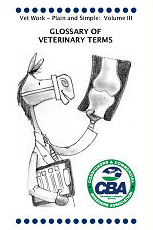 A glossary of terms and phrases commonly used at the sales and in veterinary reports. Veterinary terms listed include examples of high performing horses with similarly reported veterinary findings. ©2008 Consignors And Breeders Assn. A guide to help find yearling buyers plan effectively and succeed in the yearling marketplace. ©2006 Consignors And Breeders Assn. 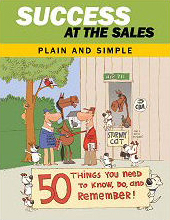 An expose of many widely known "Sales Myths" and a Q&A with trainers. 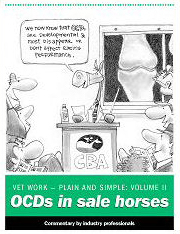 A comprehensive explanation of the subject of OCDs in the sale horse. ©2005 Consignors And Breeders Assn. The CBA's first education initiative. 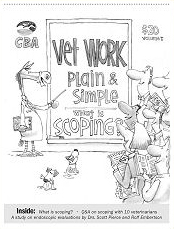 This booklet provides a comprehensive explanation of the scoping process and results.